Opened in 1973 and fully renovated in 2006 in modern Thai style, the Royal Cliff Terrace provides a private sanctuary making it ideal for honeymooners, couples and families. Built directly into the face of the cliff and surrounded by tropical shrubbery, the low-rise Royal Cliff Terrace is just a few paces away from the beach and offers remarkable tranquility with its beachfront seclusion and serene atmosphere. "This hotel offers only sea view accommodations"
Constructed in 1992, and renovated in 2007 with the sweeping curves of its all sea-facing balconies and impressive atrium lobby, the Royal Cliff Grand & Spa is a 20-storey “Grand Hotel” in every sense of the word. Its beautifully landscaped free-form swimming pool and sun decks are exclusive to its guests – as well as the Club Lounge where all Royal Cliff Grand & Spa guests can enjoy daily complimentary Continental Breakfast. With a Spa, Thai Cooking School, 12 state of the art meeting rooms and High-speed Internet access in all rooms and suites, the Royal Cliff Grand & Spa meets the needs of the most sophisticated Leisure and Business travelers. The epitome of luxury, the exclusive all-suite Royal Wing & Spa was opened in 1986 and fully-renovated in 2001. Widely acknowledged as one of the world’s finest hotels, highly personalized service and attention to detail are trademarks of the hotel – a place where the expectations of even the most discerning guests are exceeded. Guests of the Royal Wing & Spa have exclusive use of the Royal Wing pool and gardens and are served by the famous Royal Wing Pool Butlers who ensure a relaxing stay. Satellite TV, In-House Movies, Mini Bar, Room Service, Air-Conditioning, Telephone. Room Safe. Mini Suites Have A Small Seperate Step-Up Lounge Area With A Balcony With Sunlounge. Family Suites Have Two Bedrooms, Two Bathrooms With A Central Living Room And Balcony Overlooking The Beachfront. 2 Children’s Pools, 4 Jacuzzis, 5 Swimming Pools, 6 Tennis Courts, 91 Air-Conditioned Rooms, Babysitting Service, Ballroom, Beauty Salon, Business Centre, Choice of Watersports, Conference & Banquet Facilities, Fitness Centre, Laundry Service, Massage & Steam Rooms, Shopping Arcade, Restaurants, Bars. Whether you're planning a small boardroom meeting for 30 with coffee breaks and lunch, a 3-day AGM for 100 guests theatre-style or a gala dinner complete with live music, ice carvings, Chinese acrobats and grand firework finale, we have a venue, menu and proposal to suit you. Our extensive facilities located in the Royal Cliff Beach Hotel and Royal Cliff Grand & Spa include the Siam Ballroom capable of accommodating 1500, the Grand Ballroom suitable for a banquet for 400; as well as a wide choice of purpose-built meeting rooms for between 30-150. We also have excellent breakout facilities in both buildings. Incentives are the speciality of the resort and flexibility is our motto. We can arrange anything from a mini Thai olympics complete with 'elephant Vs man' tug of war competition and championship golf tournament at a local course to a day's scuba diving at one of the outlying islands. Our choice of theme parties is equally impressive. Choose from a whole range of events including a 'Tender is the Night' dinner in the beautiful setting of our park and gardens, the 'Loy Krathong' evening, a poolside event where small, beautifully decorated banana leaf boats are floated on the water as offerings to Lord Buddha, or our renowned 'Dine Around Asia' night with its exotic cuisines, elaborately decorated food stalls and Oriental atmosphere. Pattaya is located 159 kms. southeast of Bangkok. Approx. 2 ½ - 3 hours drive from both Bangkok central and Don Muang International Airport. 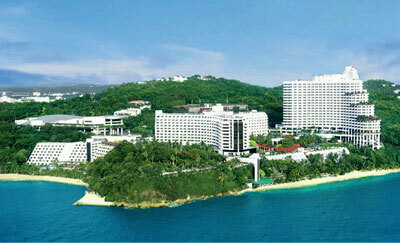 The resort is located to the south of Pattaya on a headland overlooking Royal Cliff Bay and the Gulf of Siam.